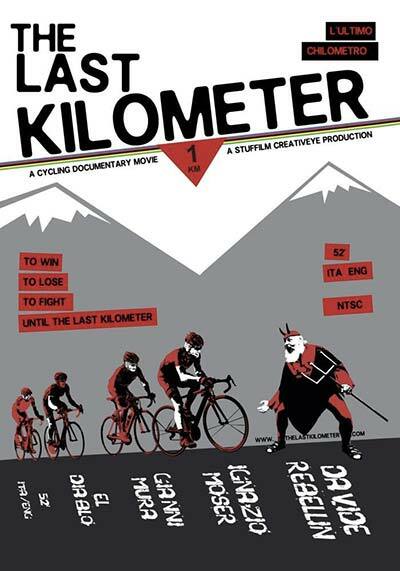 ‘The Last Kilometer’ is a film totally dedicated to a passion, an emotion, a sport: Cycling. The movie follows the story and an entire cycling season of “the old” Davide Rebellin, 41 years old and still fighting in the peloton after many victories and scandals, and “the young” Ignazio Moser, promising 20 years old son of cycling champion Francesco Moser. The famous italian journalist Gianni Mura, Tour de France correspondent since 1967, helps us to discover what cycling was and what it has become today, after doping scandals, passion, epic, richness and decadence. Finally, a bit of madness and insane joy is brought into the movie by Dieter Didi Senft, better known as “El Diablo”, a living and metaphorical symbol of all cycling fans, with their passion and their enthusiasm. Official Selections 2013: Bicycle Film Festival, International Sport Film Festival Moscow & Sports Film Festival Palermo. This entry was posted on December 31, 2013 by amber.